The Lake Superior Basin Workshop will be held this Friday and Saturday, March 18th and 19th at the Northwest Company Fur Post near Pine City, Minnesota. The workshop is a rather informal gathering of archaeologists, avocational archaeologists, collectors, and the general public with lots of hands on opportunities to view artifacts and hear about ongoing projects. Something of a last hurrah before the field season begins, the focus has traditionally been the archaeology of the Lake Superior Basin with archaeologists from Minnesota, Wisconsin, Michigan and Canada in attendance. It has gradually expanded to include any regional topic and has facilitated collaboration between archaeologists from different states and countries. There are no scheduled papers, but if one wishes to present one, there is a room available to do so. There are generally several tables of material displayed and a number of ongoing discussions concerning regional archaeology. 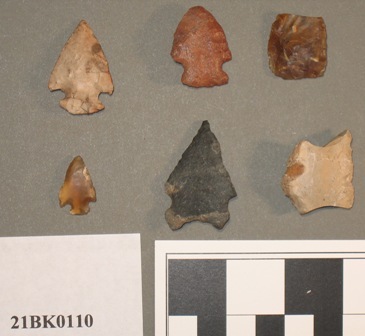 In recent years topics have included archeology in the national forests, regional lithic materials such as siltstone, and fur trade artifacts among others. Archaeologists are encouraged to bring whatever they are currently working on and share it with their colleagues. The event is free and open to the public. Click here to see the event flyer.